Please watch your mailbox this week for a beautiful invitation to High Holiday Services with Chabad of the Bay Area. The "Weekly Wisdom" class is open to the public and meets Tuesdays at 8:00 pm for study and discussion on fascinating and relevant Jewish topics. 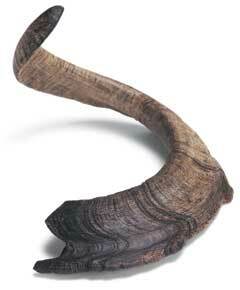 The Shofar, one of the most well-known symbols in Judaism still remains one of its more mysterious. In this class we will trace the origins of the Shofar, the various meanings it has in the four levels of Torah interpertation: the literal, allusional, homiletical and mystical, and gain insight that is sure to transform your Shofar experience! Save the date: Join the Jewish Women's Circle on Wednesday, September 10, 7:30 pm, for a fun ladies' night out. Stay tuned for details next week. What's cooking at "Weekly Wisdom"? 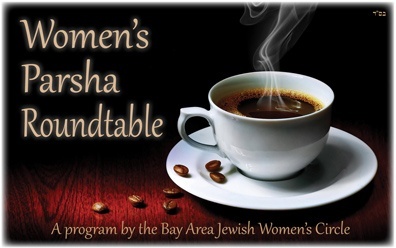 Chabad of the Bay Area's new "Weekly Wisdom" class series is on a roll! The class, which is open to the public, meets Tuesdays at 8:00 pm, for interactive study and discussion on fascinating and relevant Jewish topics. The spirituality contained within the month of Elul, the 30 days leading up to Rosh Hashanah, is one of Judaism's best kept secrets. Learn all about the meaning and significance of this time and discover how to tap into the power of Elul to enhance your spiritual relationship with G-d.
Chabad of the Bay Area will once again be offering High Holiday Services as well as our famous Community Dinners for the upcoming High Holidays. Weekly Wisdom - part 2: What does Judaism really say about Heaven, Hell and Reincarnation? 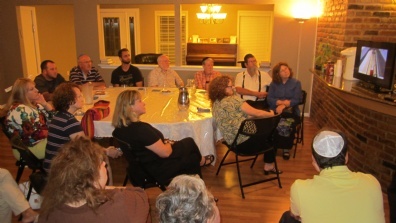 A great time was had by all at the inaugural Weekly Wisdom class this past Tuesday. What does Judaism really say about Heaven, Hell and Reincarnation? 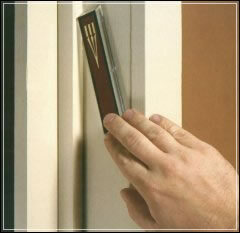 Come and check it out, you'll be suprised by what you learn. Invite your friends to join you! 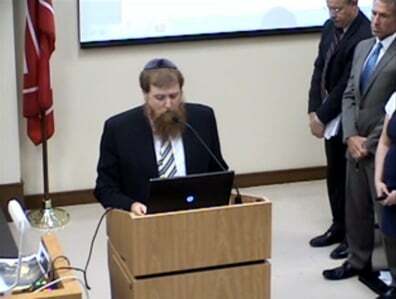 The council meeting at League City opened up this past Tuesday, August 12, with an invocation delivered by Rabbi Yitzchok Schmukler, director of Chabad of the Bay Area. In his brief remarks the rabbi referred to the Seven Noahide Laws, the Torah's seven principles of moral living for all mankind. Calendar last call: dedicate a date or advertise! Honor the people you love. Only $18 per date! What is a SOUL? Exciting new class! Join us this Tuesday evening for the launch of Weekly Wisdom, an exciting weekly class on fascinating, relevant topics. First topic - this week! What exactly is a soul anyway? Do animals and plants have souls? 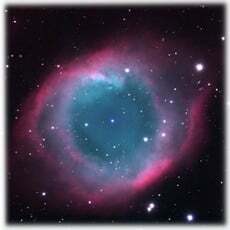 Are souls eternal? What are the different layers of the soul, as described in Kabbalah, and how are they expressed in the human being? Come, give it a try and bring a friend! Weekly Wisdom is an interactive class addressing relevant Jewish topics. Join us as we peel away the layers to discover the reasons and deeper meaning behind Jewish holidays and customs, the nature of the soul, Jewish history, Kabbalah, Jewish mysticism and spirituality, overcoming challenges, knowledge and faith, finding purpose in life and so much more! Weekly Wisdom: Because there is so much to learn! Jewish law recommends having Mezuzot and Tefillin checked from time to time (ideally, twice every seven years) to ensure that they remain kosher. Time and weather can take their toll on these items, sometimes causing the perfectly handwritten letters to crack or otherwise become damaged and unkosher. A special convenient opportunity for checking Mezuzot and Tefillin is coming up soon, as two expert scribes ("Sofrim") will be coming to Houston on Monday, Aug 11 (staying for a few days) and will be offering this service for a small fee. 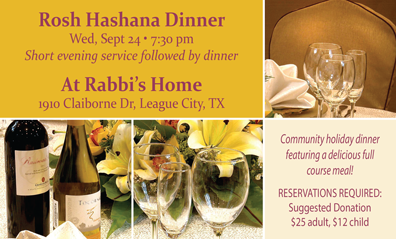 If you'd like to particpate, please contact Rabbi Yitzchok Schmukler at rabbi@jbayarea.org. New weekly class to launch! By popular demand, Chabad of the Bay Area is pleased to announce the launch of a new weekly class: Weekly Wisdom. Come together for an interactive weekly class on relevant Jewish topics. Join us as we peel away the layers to discover the reasons and deeper meaning behind Jewish holidays and customs, the nature of the soul, Jewish history, Kabbalah, Jewish mysticism and spirituality, overcoming challenges, knowledge and faith, the purpose of life and so much more! "Because there is so much to learn!" Many people came out this Wednesday night for The Mystery of the Holy Temple. The fascinating class discussed the history, role, function and meaning behind the Beit Hamikdash, the location of its artifacts and why it continues to hold such a central place in Judaism now and in the future. The learning was dedicated in the merit and honor of the soldiers and residents of the holy land. The fast of Tisha B'Av begins this Monday, Aug 4 at 8:11 pm and concludes Tuesday, Aug 5 at 8:36 pm (times are based on the Clear Lake area). The five restrictions of this day are: no eating or drinking, no ointments, no leather shoes, no marital relations and no bathing. Join us for the customary melodious reading of Eicha (the Book of Lamentations), Monday, 8:30 to 9:00 pm. Location: 1910 Claiborne Dr, League City. For more about the history, insights and observances of the Nine Days and the upcoming Fast of Tisha B'Av, visit www.JBayArea.org/3weeks.